Locking Nashville-style bridge with many improvements, including intonation adjustment on the pickup side; Phillips head saddle adjustment screws, and pre-notched saddles for quick installation. 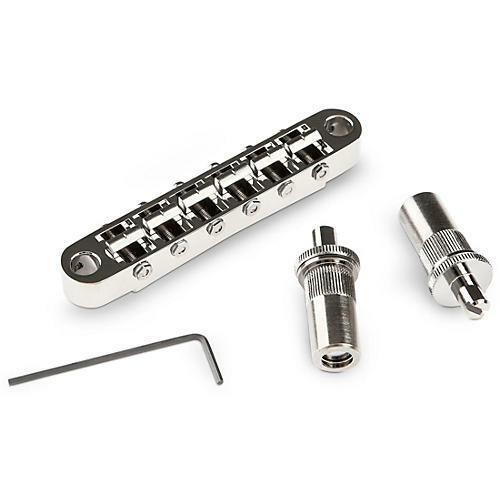 The TonePros T3BT bridge comes equipped with large post, metric thread, and pre-notched saddles. Slothead post allows bridge height adjustment using a flathead screwdriver. The model fits most guitars made overseas. Direct retrofit for many USA guitars without modification.